The most anticipated match of the opening round of Premier League fixtures is Sunday’s clash between Arsenal and Liverpool at the Emirates. 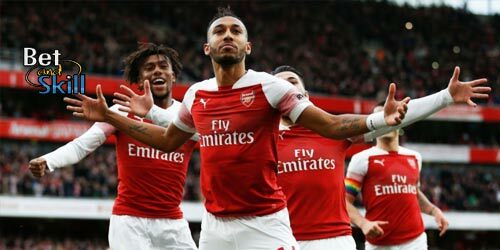 Don't miss our Arsenal v Liverpool betting preview with free predictions, betting tips, lineups, team news, enhanced odds, bookie offers and no deposit free bets on the Premier League! Despite all their problems, injuries and players arriving late following international duty, Arsenal’s pre-season actually went pretty well. They hammered Viking 8-0 last Friday and then beat Manchester City. Gunners' summer activity has been very unconvincing. They only brought in Swiss playmaker Granit Xhaka, and once again failed to address the areas of weakness in his squad, most noticeably at centre back and up front. Arsene Wenger has an injury crisis at centre-back ahead of the home encounter against Liverpool, with Per Mertesacker and Gabriel both unavailable, while Laurent Koscielny is lacking match fitness. Given that, the Frenchman may opt for a more defensive-minded midfield paring in his usual 4-2-3-1 formation, with Granit Xhaka perhaps starting along Francis Coquelin. Mesut Ozil is another who is lacking match fitness following the Euros, and is also likely to be left out. Up front Alexis Sanchez is likely to lead the line while Oxlade-Chamberlain, Aaron Ramsey and Theo Walcott are expected to start as offensive midfielders. Liverpool looked superb in the 4-0 win over Barcelona last Saturday. Anyway, they suffered a 4-0 loss to Mainz a day later, albeit in a friendly and with a team that included fringe and academy players. Defeats to Roma and Chelsea overshadowed victories over AC Milan, Huddersfield, Wigan, Fleetwood and Tranmere. The Reds have spent big in the transfer market, with £60 million being shelled out on Sadio Mane and Georginio Wijnaldum. Jurgen Klopp may opt for a slightly more cautious 4-3-3 formation. Sadio Mane and Philippe Coutinho are expected to start out wide, with Roberto Firmino set to continue in the “false nine” role as he has done for much of pre-season. James Milner has returned to training after suffering an injury against Barcelona in pre-season but remains a doubt. Daniel Sturridge is struggling with a hip injury, while Joe Gomez, Marko Grujic, Lucas and Sheyi Ojo are all doubts. Joel Matip and Ragnar Klavan are i ncontention for a starting berth as centre back. Liverpool have only won one of their last 10 matches against Arsenal with four of those matches ending in a draw. 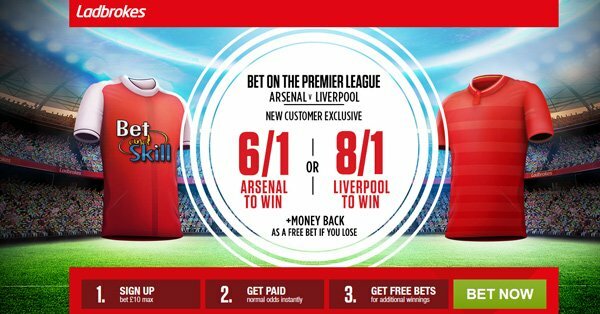 "Arsenal v Liverpool predictions, betting tips, lineups and free bets (Premier League - 14.8.2016)"